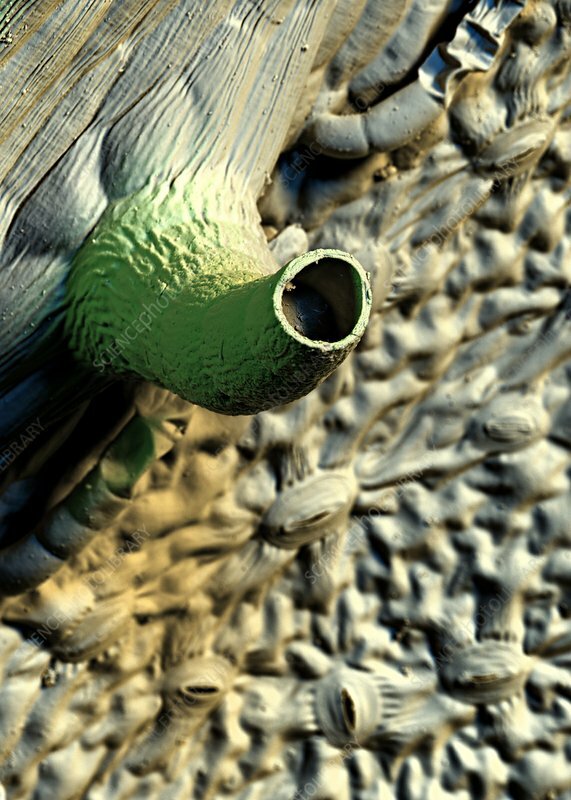 Stevia leaf trichome, coloured scanning electron micrograph (SEM). Trichomes are specialised structures that can be glandular in nature, defend against predators, or help reduce water loss. Stevia rebaudiana (the sugarleaf) is a plant grown for its leaves, used as a source of natural sweetners. This view includes stomata (oval openings), the gas exchange pores found in the epidermis of plant leaves and stems.